Fly out to Shanghai to Set The Guinness Getting Over It World Record? Flown to Shanghai to Set The Guinness Getting Over It World Record. More info in the URL on Guinness website about how you can enter. Fans of one of the most popular mobile and PC games of the last 12 months are being invited to try and become a record breaker at one of China's largest gaming conventions. 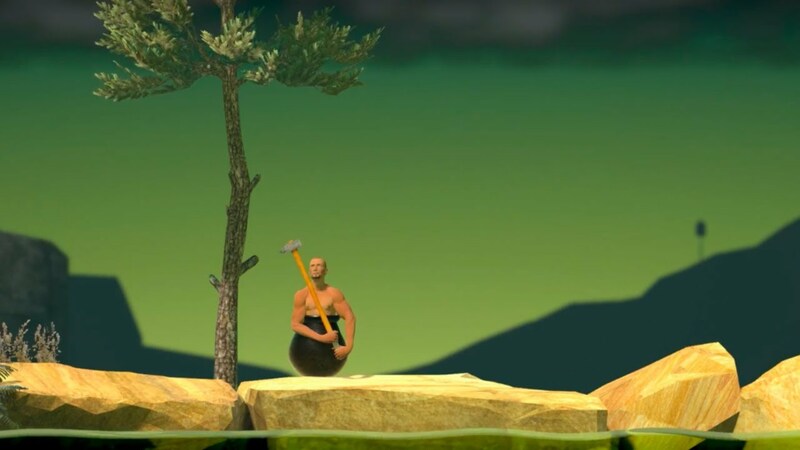 As part of this year's event, Jiu You Game from Alibaba entertainment is offering gamers the chance to set the record for the Fastest completion of Getting Over It with Bennett Foddy in a competition at ChinaJoy in Shanghai. Players from all over the world can take part by sending in videos of their fastest attempts by Sunday 29 July with the top 10 being flown out to Shanghai for the final on Saturday 4 August. Thats kinda cool, for some reason I like watching people play this game still too.